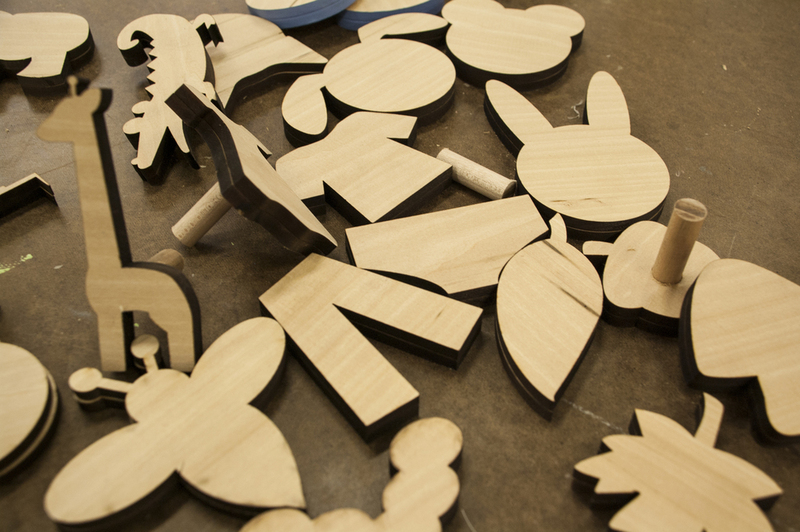 South Bend Woodworks is a community based company that melds the creation of skilled workers with the production of long-lasting wooden children’s toys. Although having some success in their traditional toy lines, there was a call for innovation—a new product that was simple, economical, and fun. Incorporating fun shapes and 2D cutouts, I design a collections of cabinet hardware that add character and spunks to any set of drawers or doors while also giving off the aesthetic of natural wood. The knobs are flat and can be cut out in a variety of shapes that fit boys and girls, young and old.